Wow, University of Alberta’s Centre for Constitutional Studies & Legal Education Society of Alberta haven’t yet realized that Canada’s Charter of Rights and Freedoms is a mangled, oil-soaked paper airplane flown out of a 26th storey window in downtown Calgary, fueled by Supreme Court of Canada knowingly publishing lies in their rulings. 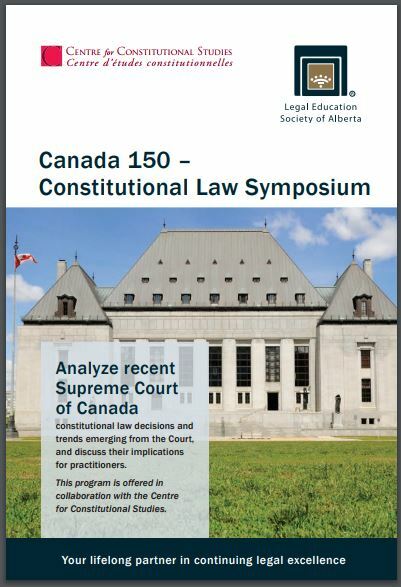 Analyze recent Supreme Court of Canada constitutional law decisions and trends emerging from the Court, and discuss their implications for practitioners. Review and analyze the effects of recent Supreme Court of Canada constitutional decisions and other developments. This program is offered in collaboration with the Centre for Constitutional Studies. Aha, now I understand! The lawyers know the Charter is printed on tissue paper, and have to get together to figure out which part of their anatomy they should wipe with it! The printed on tissue line was a ” laugh out loud” moment. Thank you!! Obviously this symposium is about applying legal tactics designed to deny individuals or groups the right to the mythological protections of the constitution and the charter.